The International Microgrid Symposiums Steering Committee and the University Politehnica of Bucharest (UPB) Local Organizing Committee, are presenting the fourteenth of the series of International Microgrid Symposiums in Bucharest, Romania, on 2-6 September 2018, on the UPB campus. 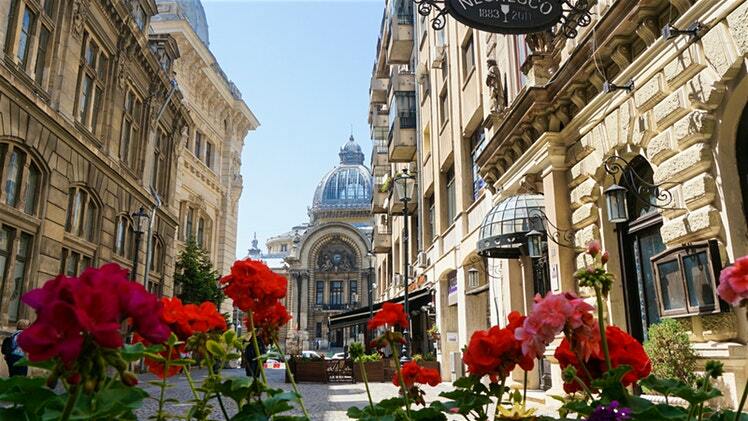 The format of the Bucharest Symposium will be similar to prior years. Attendance is by invitation only, and attendees are cutting edge researchers, research managers, and policymakers from around the globe. Symposium sessions will be held on Monday and Tuesday, 3 and 4 September, in the Rectorat Building, 313 Splaiul Independentei. An optional technical tour to the Danube Delta will depart on Wednesday, 5 September morning and return to Bucharest on Thursday, 6 September evening. The goal for the Bucharest 2018 Symposium on Microgrids is to continue the exchange of results from microgrid research, demonstration, and deployment worldwide with an emphasis on recent results and areas of potential international cooperation. If you feel you can contribute to the Symposium, please email to bucharest@microgrid-symposiums.org Materials from past symposiums can be found on this site. Thanks, and see you in Bucharest! =+= "Vă așteptăm la București!" Keep up with developments in the world's biggest microgrid market at Microgrid Knowledge.